Steve has a strong background in healthcare service delivery and information technology. He has held the posts of Head of I.T. in an NHS Trust, and a high performing Senior Healthcare Consultant for a US company. Steve is a registered general and mental health nurse prescriber, having worked successfully on the front line in an assertive outreach team. • Comfortable and credible with staff at all levels – clinicians; leaders; managers; support staff. • A highly effective communicator in the boardroom and in the tea room. • Someone who will act to understand, and then prevent, abuses of power. Wherever this stems from. • Intolerant of unaccountable and unnecessarily secretive behaviour, or failure to respect others. • Keen to support those who are open and speak out, and recognises we are all fallible. • Someone who enjoys dealing with complexity and problem solving through developing high performing teams, where all are valued. • Enthusiastic, tempered with reality about what can be achieved straight away, given available resources. • Someone who seeks to identify the core problem, exploring all angles and perspectives. Not after a quick ‘tick box’ solution. • Someone who has been to the ‘dark side and back’ (i.e. worked as a clinician and as a manager), and retained credibility when doing this with the other group. “I promise to try to act with transparency and integrity at all times; to try to be kind and compassionate in all I do and say; and be open and honest when I make mistakes. I’ll try my best to fulfill this, and use it to underpin the work of my company. It won’t always be easy to really live up to it. Steve was rercently interviewed by Pirate 2. You can listen to the interview here. 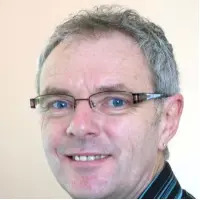 You can connect with Steve via LinkedIn, Twitter or email him here steve@carerightnow.co.uk.